U.S. Senator Elizabeth Warren is mad as hell and she’s not going to take it anymore. Of the chorus of voices speaking out against Wall Street, Warren’s is the loudest – and likely the most important. This time she’s trained on the botched $25 billion mortgage abuse settlement reached between the Department of Housing and Urban Development (HUD) and the five big banks. Warren recently sent a letter to Attorney General Eric Holder demanding answers and castigating the Department of Justice (DOJ) for allowing sleazy lenders to get off so easily. 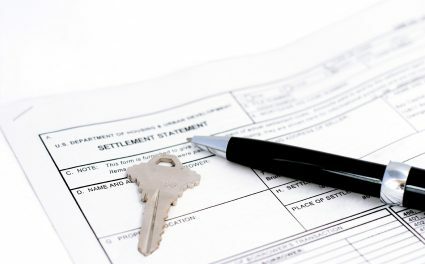 Her dismay primarily stems from the fact that a scant $225 million was paid to the Federal Housing Administration (FHA) for releases from False Claims Act liability. According to the False Claims Act treble damages clause, the lenders ought to have been on the hook for as much as $37 billion. Thus, the DOJ accepted a paltry 0.6% of the total possible damages as a payoff for a get-out-of-jail-free card. In addition, no senior executive of any of the big banks has been criminally prosecuted for wrongdoing during or after the mortgage meltdown and financial crisis which they primarily brought on. Warren is concerned the settlement is indicative of the government’s timid approach to enforcement. Instead of substantive and proper penalties, the settlement kowtows to the too-big-to-fail financial institutions which engineered this mess. how much of the $225 million has actually been deposited in the FHA’s reserve account. Warren is the fly in Wall Street’s ointment, the proverbial mosquito buzzing in its ear. One might argue sending snarky letters and badgering regulators at committee hearings is mere grandstanding — political performance art at its best. But regardless of any headway Warren makes, her presence as an outspoken critic of Wall Street and government collusion against homebuyers is priceless. However, the trade unions’ interests have been aligned with Wall Street’s since before the advent of the mortgage-backed bond — you provide the financing, we’ll find the buyers. The collusion between the two can be clearly seen today in NARs trumped-up real estate sales data, which is always points higher than the Case-Shiller Home Price Index and first tuesday’s home sales volume numbers. As the trade unions continue to pander to Wall Street, and Wall Street continues to be too big to fail, honest real estate professionals need a bulldog like Warren barking for them. Right now she’s fighting for the FHA, which means she’s fighting for you! NextRate locks: tin shields or the real deal? 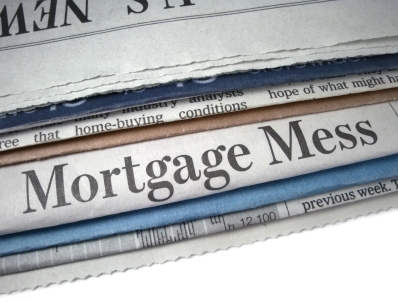 Am I allowed to Broker my own personal “Reverse Mortgage ” transaction? Chase did exactly the same thing to us!! Numerous account reps, same paperwork over and over, it was a total string along draining every last penny they could get leaving us with nothing. The U.S Congress, with the blessing of Presidents passed laws requiring bank to make housing “affordable.” And then in the secondary market (Fannie and Freddie) accepts these 80/20 loans. Stated Income/No Docs Loans as promoted by Frank & Dodd are the underlining cause of this whole mess. It was very similar to the stock market crash of the 1929. Purchasing on margin. We (the honest real estate agents) knew this was a house of card just waiting to fail. Welcome to the party! Yes, I had the exact same experience with B of A as Fred Sc and agree with everything he said about B Of A. Terrible service and they changes the loan agent three times and at the end an area manager took over and told us the previous agents were no longer with them. He said he would restart the loan and keep the interest rated quoted to us back 10 months ago. it all sounded good and we all though finally someone will take care of our refin loan but we were taken for a ride. That area manager had us resubmit everything and took a long time. And then would not get back to us promptly. When we gave him all he asked for(and he often had duplicate requests), i asked him when we would get approval. We had everything to him on time. Next day I send him emails and voicemails to make sure he is taking care of the loan but he would not answer until late in the afternoon. He gave a dumb stupid excuse that he couldn’t use a copy of the statement from our bank and now it’s past the deadline and we couldn’t continue the loan process. We were shocked.! After a year of nightmare with B of A’s unreasonable requests , etc.. And the area manager on purpose don’t tell us the deadline and then said we missed the deadline even though we got everything in was the most outrageous experience ever! B of A had us go thru the refin process three times and at the end use a tricky move to reject the refin. I finally realize the whole company and the area manager was just going thru the motion to pretend they were trying to help the borrowers just to protect themselves. There was never ever any intention to give us the loan! they cause us so much grief and pressure that a couple of us was on the verge of a heart attack! B of A is terrible!!! They asked for everything and then pull a sneaky one to disqualify the request! I’m happy to find out that others have the same experience with them! I really would like to bring this to the governing agency’s attention. Does anyone know who I can contact to give our story to so to make sure B of A don’t get away with this type of game playing? This whole mess needs to be thoroughly investigated. B of A is the worst and the reason the law firm of Hagens, Berman et al has been working on two large law suits (hopefully they will be confirmed for “class action status” if they haven’t already). It is totally disgusting and criminal what they have been doing to people. They have such a terrible staff with many incompetent people and people get the total run around for months and then rejection for no valid reason. Chase Bank, on the other hand has done some pretty outstanding work in helping people with minimal documentation and quick and efficient results with people the sought out for a refi and with NO costs whatsoever out of pocket and based largely on the history of the account- totally the opposite for B of A. Jamie Dimon seems to have a great, competent, and caring staff for helping with refis and just the opposite for Brian T. Moynihan with B of A where it is total chaos. People should avoid B of A at all costs.